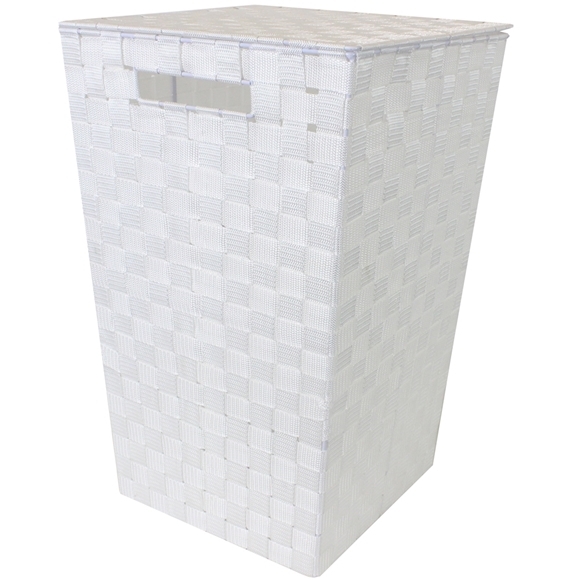 Keep your bedroom or bathroom neat and tidy with this modern white laundry basket. Made from woven plastic and features two inset handles for ease of carrying. The lid keeps closed with a loop fastening. Size: H:53 x W:33 x D:33cm approx.